Companies performed at an optimal level when three to four members of their board turned over every three years. The worst company performance was observed when there was no board turnover in a three year period. Most boards do not fall into the optimal level. Though this study is of for-profit entities, these results apply equally to nonprofit boards of directors. If organizations wish to further their mission and maximize results, periodic board turnover may provide a leg-up in reaching those goals. To be clear, this is not an “out with the old, in with the new” mentality! The study is simply proof that occasional change can be beneficial for organizations. But how can an organization encourage healthy board turnover? 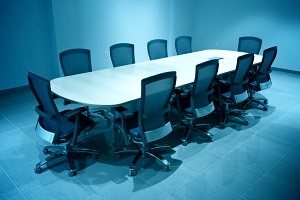 Clearly define the role of your organization’s board of directors. Make sure board member terms are outlined in your bylaws. Term limits and mandatory submission of resignation after failure to garner a majority of votes have been cited as effective ways to promote turnover. Board assessments and evaluations to help encourage appropriate turnover. Elections are a key component in regularly selecting new board members for optimal organizational performance. New board members offer different experiences, views and perspectives on organizational issues. And a fresh perspective encourages veteran board members to think differently. Organizations should aim for a healthy mix of new and seasoned board members to maximize the board’s role. Check out the original study from the Harvard Business Journal and let us know what your experience with board elections and turnover has been in the comments below. Next Next post: How to encourage member election participation? Prizes!